After nearly a quarter of a century together, Chicago rock outfit the Sea and Cake has never been a band that's felt the need for radical reinvention. The group's jazz-influenced guitar melodies, buoyant pop arrangements and the subdued vocals of frontman Sam Prekop have remained constants throughout its entire catalog, inspiring multiple generations of wistful indie rockers. 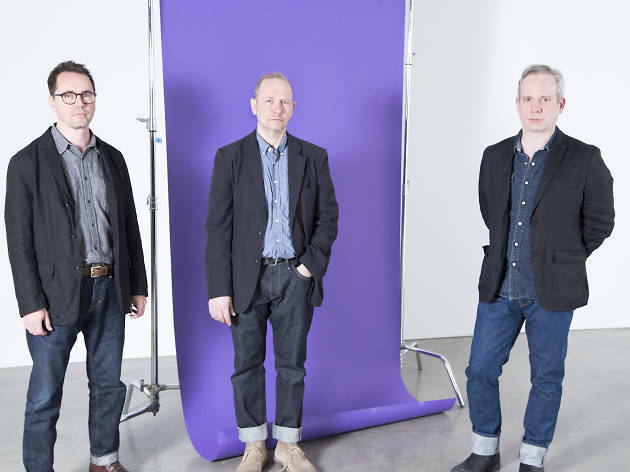 When the Sea and Cake convened to write its 11th studio album, Any Day, it was faced with two major changes: the departure of longtime bassist Eric Claridge and the loss of its preferred hometown recording studio, Soma. The resulting record feels like a refinement of the group's singular sound, presenting new ideas and subtle adjustments with an air of comforting familiarity. Ahead of the band's tour in support of Any Day, we spoke with Prekop about writing songs in his kitchen and the connection between his photography and his music. It’s been six years since the release of Runner—the longest break between Sea and Cake albums. What was the impetus to gather the group? I have to admit, I haven’t even thought that it’s been the biggest break between records. I think what happens is when you end up touring on a record, it feels like you’re still in it and we toured quite a bit on Runner. I just felt like I was ready to sing again. I wasn’t sure how it was going to go with the departure of Eric [Claridge]. On the other hand, Archer [Prewitt], John [McEntire] and I were excited about the prospect of working in a trio because we thought that it would be so streamlined and easy—however, that wasn’t the case either. It’s always work, no matter what, and it kind of highlights how much work it is when you think that it’s going to be simple and streamlined. How did working as a trio change the band’s dynamic? Bands are a delicate balance, especially having worked as a four-piece for so long, so we are excited by but also challenged by the prospect of going [forward] as a three-piece. I think what we discovered is that none of us actually plays bass, and it just boils down to that. We handed the duties off to John because he has actually played bass—he’s been the composer of bass lines on Sea and Cake stuff before. Ultimately it worked out really well and we came up stuff that would not have occurred in any other situation. You’ve been playing with John and Archer for almost 25 years now. Does that make the process easier? There’s a bit of an unsaid confidence amongst the three of us—it’s not necessary to say ideas, somehow. It’s a pleasant and fruitful collaboration that’s worked for so long that I don’t think we’re looking to lose it in any way, and I think as long as we feel that way, we’ll keep making records. I don’t sense any change on that front. Runner was based on ideas you came up with while playing a modular synthesizer. How did the direction of Any Day take shape? I’m pretty wary of trying to fulfill goals or ideas I have at the start [of an album]. I always realize it’s going to change all the time—it’s a very fluid process. If I’d decided I needed to integrate the synth stuff again, I think that would have been a roadblock in some ways. During my time in my home studio working on the vocals, I ended up singing much more than I ever anticipated because the material was so open. This is like my first and most vocal-centric record, in a way. It’s not that I thought I should do that, it’s that I found that to be the way to proceed. I’ve always been a proponent of just paying attention to what’s happening moment by moment and trying to get the most out of that. I know that the music might sound like it’s carefully and well thought out, but it’s actually really seat-of-the-pants every step of the way. Are you feeling more confident as a singer as of late? I think I’ve realized that since I’ve been singing in a quiet, singular way for like 20 years, I’m in a somewhat rare position to capitalize on all this past work. Now, having been rehearsing this material, I’m damning those ideas every two minutes and thinking, “Oh my god, this is an unbelievable amount of singing that I have to do.” I wrote almost everything on my acoustic and that lends itself to singing more than strumming an electric guitar. I wrote a lot of these songs in my kitchen cooking dinner—[whenever] I have a little bit of time to work on it, I whip out the acoustic. Your photography has become an important part of each Sea and Cake release. How did you choose the photo on the cover of Any Day? It’s always a pretty intuitive decision, but I’m always worried about boxing in the record with the wrong image. For the past year or so, I’ve been looking back at old photos and going through my archives. I hadn’t actually seen [the cover] photo since I took it 10 years ago. In retrospect, it resonated with me that it’s an old photo and it feels like it’s from such a long time ago, even though it’s not that long ago. It’s a photo of when we had just moved into a place and had not unpacked yet. There’s no explicit connection between the image and the record exactly except for the feelings that it evokes are interesting in relation to the music—sort of nostalgic yet shabby. I’m always interested in finding photos that at first glance don’t seem like much and evolve and grow on you as you inspect them further. I think the music kind of works that way as well. Nostalgia has become a major part of the live music industry, with bands reuniting and performing old records in their entirety. Do you feel any desire to revisit your past work any more than you already do? The focus is always on the newest record, but it’s a pleasure to play old stuff that people want to hear, there’s no denying it. I don’t wanna bum anyone out by not playing any of the old favorites, however I would be absolutely opposed to going out and re-performing one of our older records. It would be hard for me to do as a musician because I forget songs easily and I’m just not interested in doing that kind of work. It’s not for me to take that route, but I’m absolutely flattered that people still want to hear the old songs. 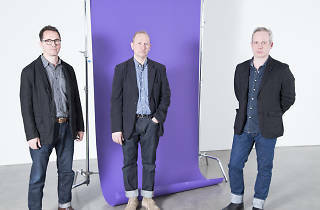 The Sea and Cake play two shows at Empty Bottle on May 23 at 7pm and 10pm.